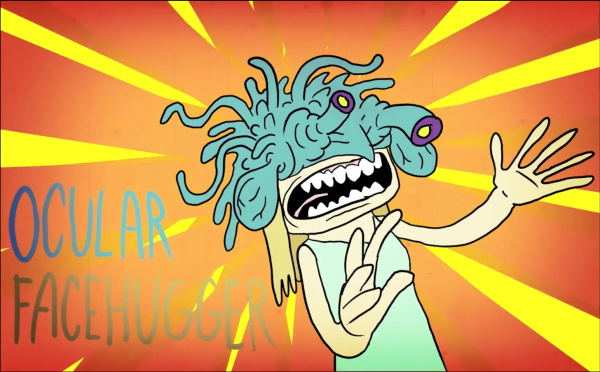 The OMNIS© Ocular Facehugger is the latest OMNIS© has to offer in virtual reality neural probing stimulation simulation. 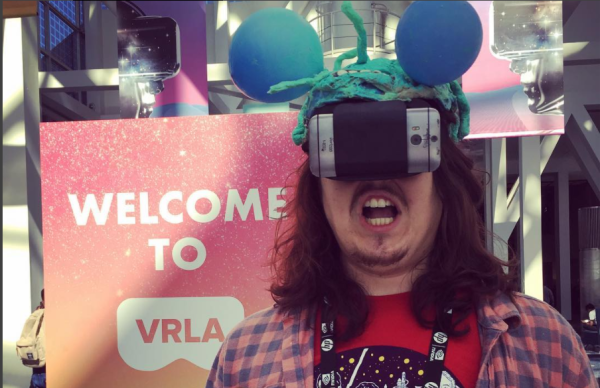 The OMNIS© OCULAR FACEHUGGER prototype was officially unveiled at VRLA 2017 !!! 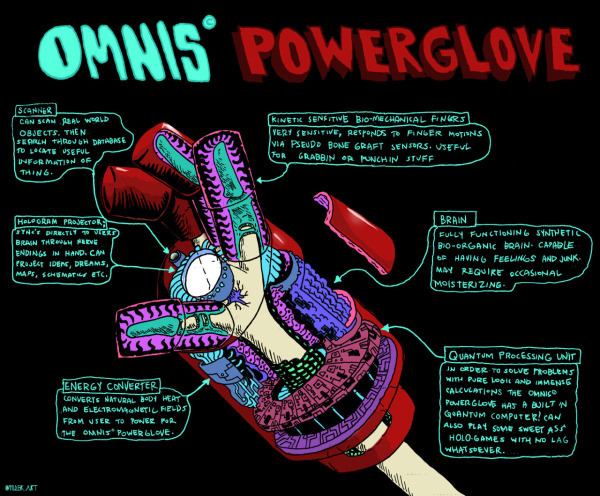 The OMNIS© Powerglove is a combination of some of OMNIS©'s most advanced technological wonders, such as a hologram projector, a quantum computer, a biosynthetic brain, kinetic sensitive pseudo bone grafts, an energy converter, and a molecular scanner. How does it all fit snugly around and inside your arm? Well, thats a trademarked secret friend, and if you found out, your powerglove might just short circuit your nervous system.